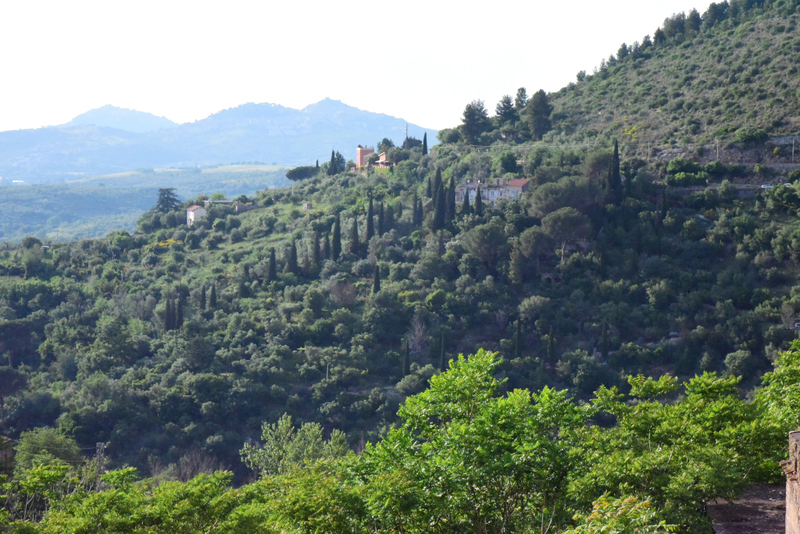 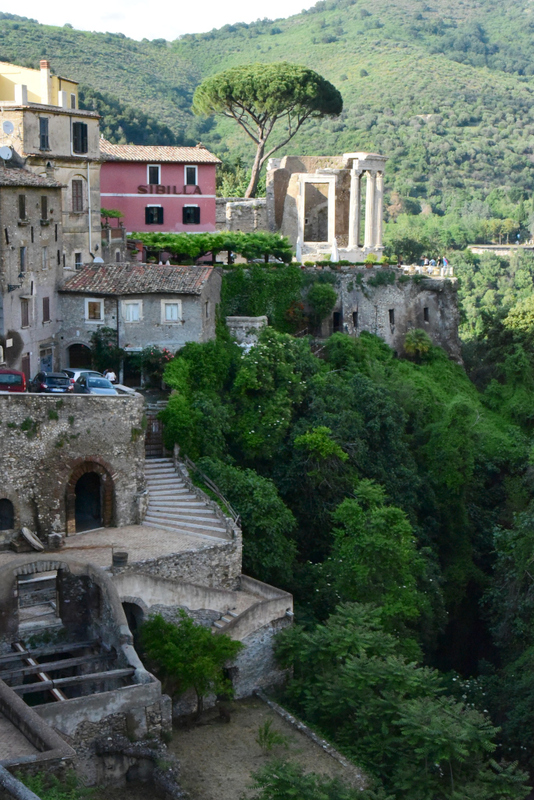 The town of Tivoli lies not far to the northeast of Rome, at the foot of Sabine Hills. 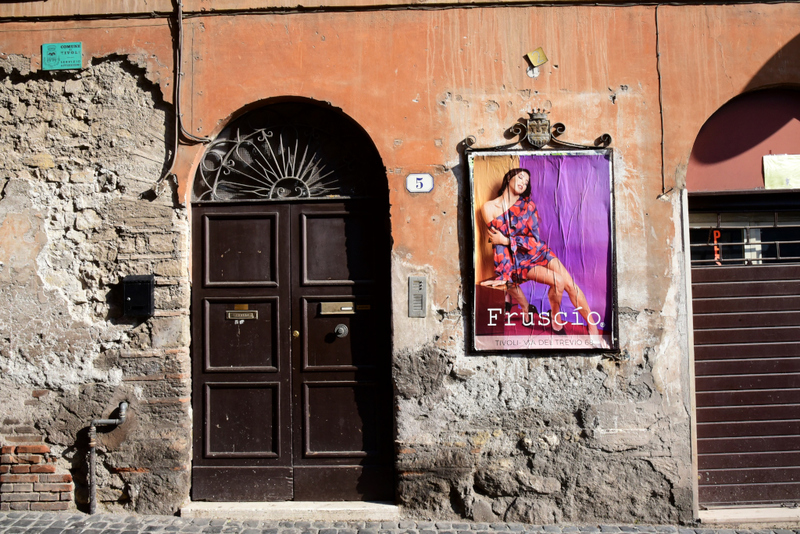 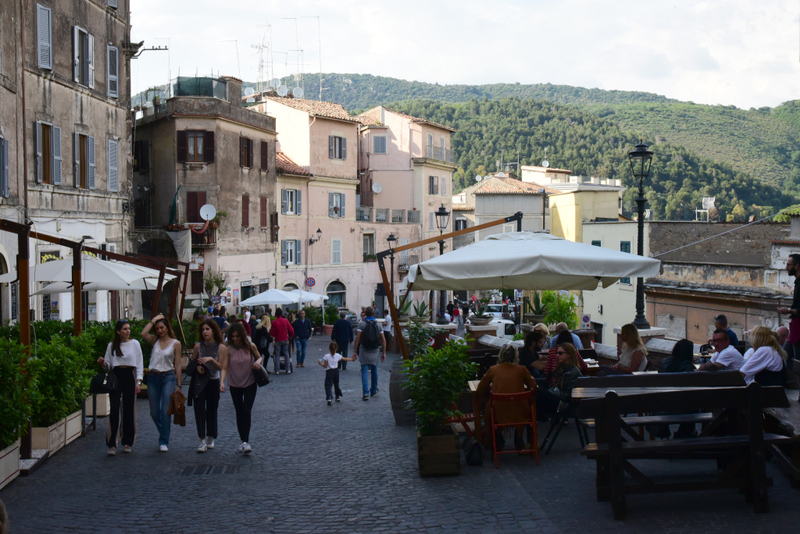 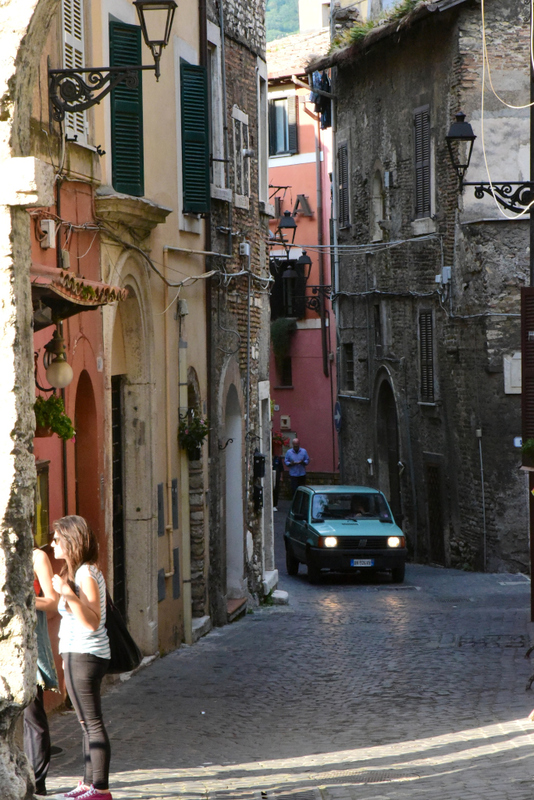 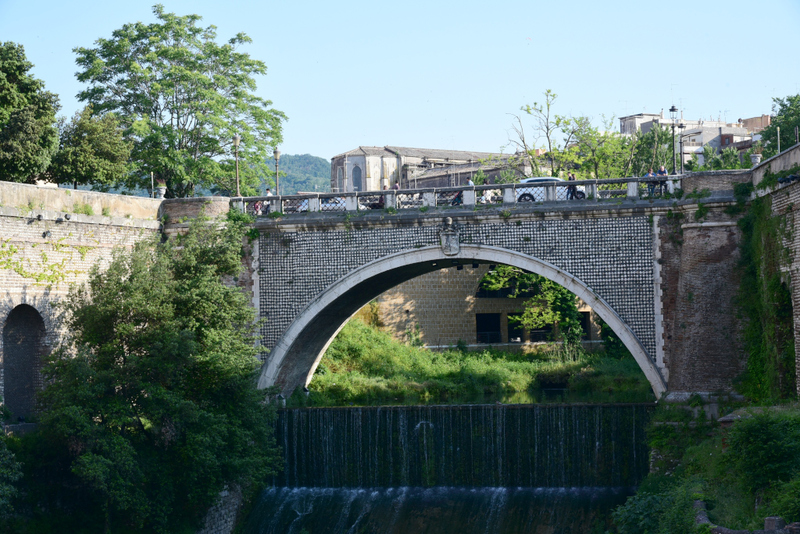 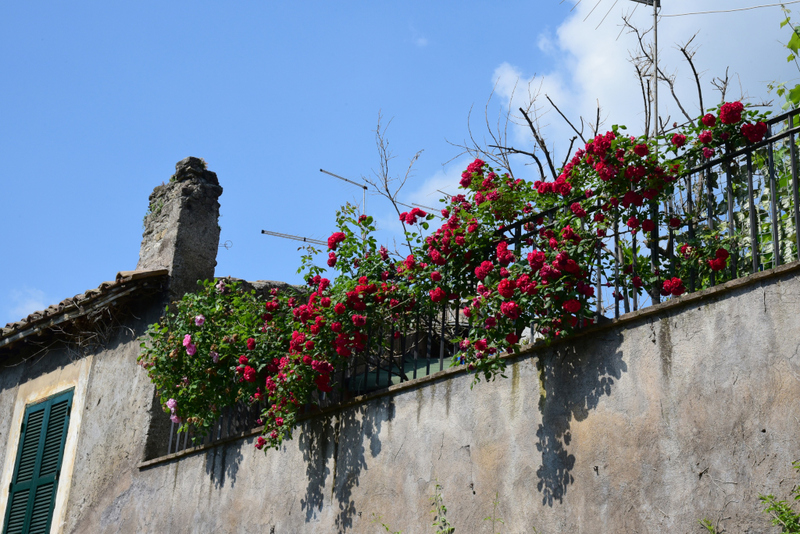 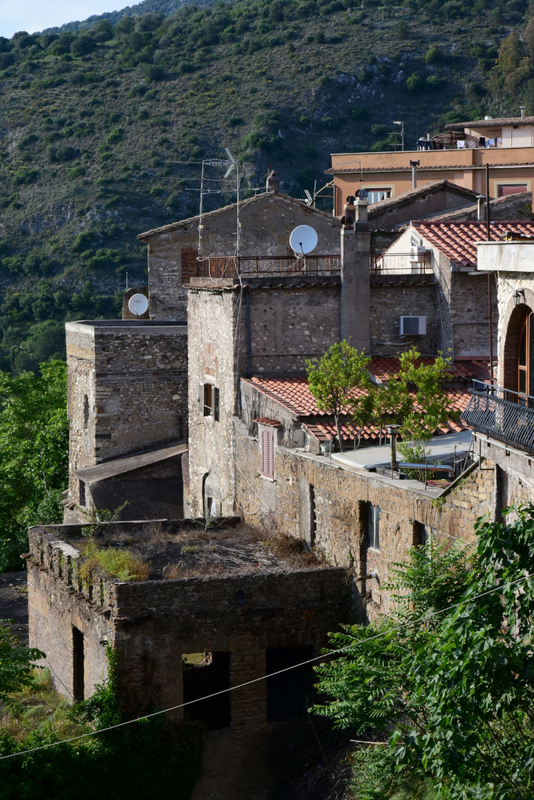 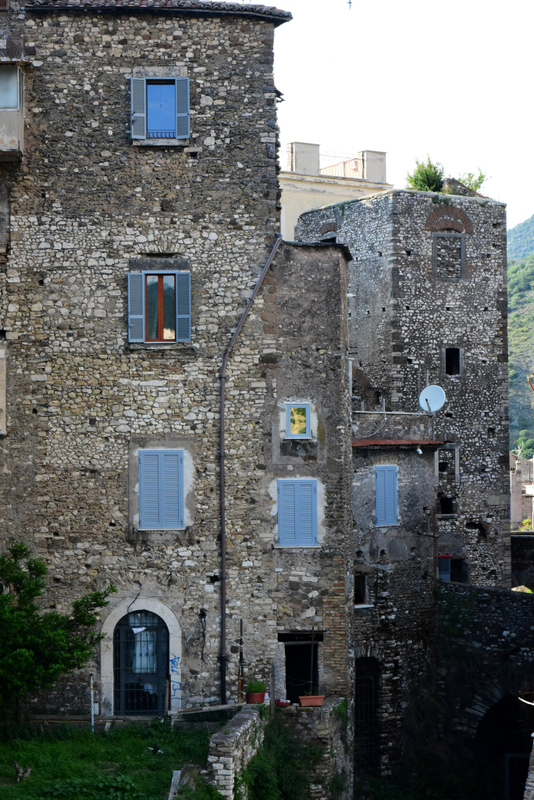 The town dates back to Etruscan times. 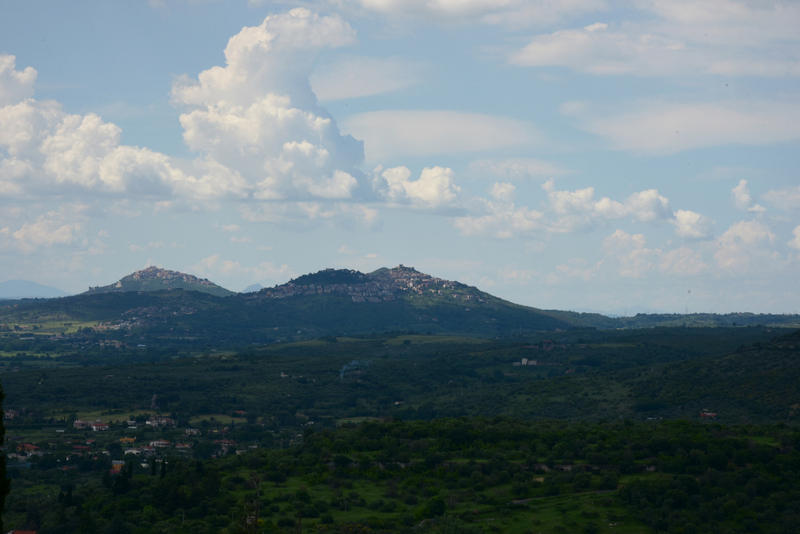 It fell eventually into the hands of the Romans, as occurred with the rest of the periphery of Latium at the time. 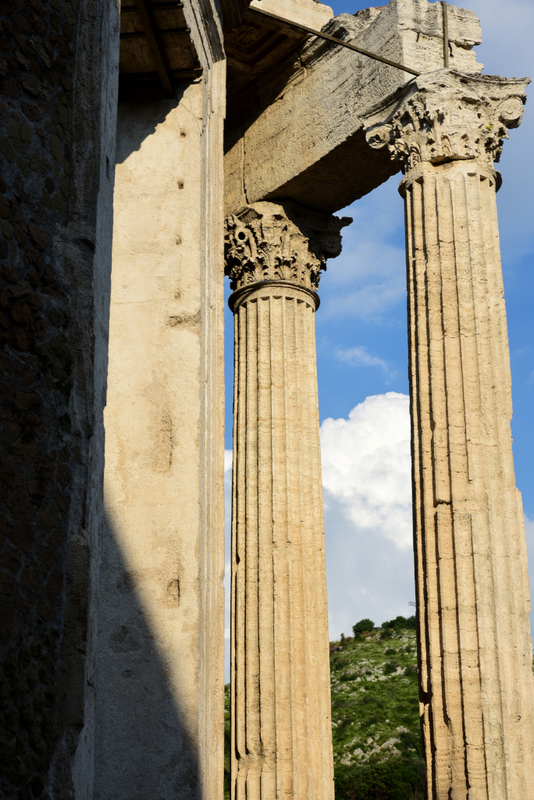 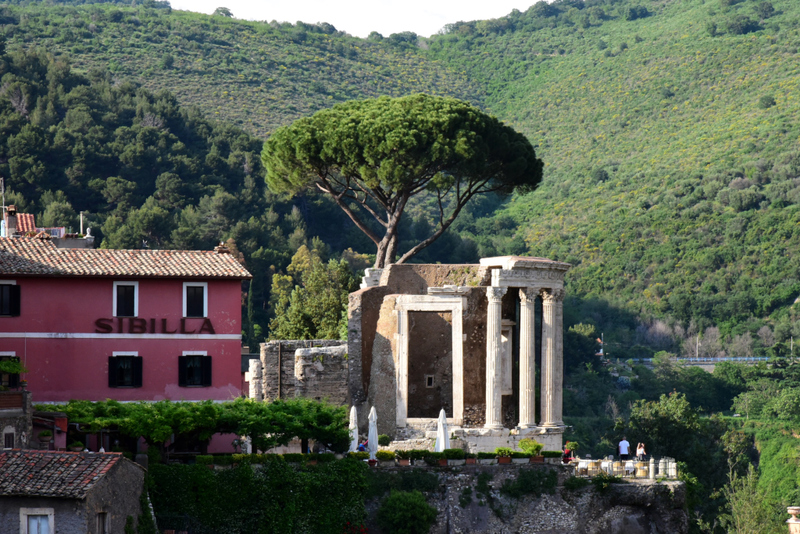 Due to its favorable climate, many opulent villas were located in Tivoli in the time of Imperial Rome. 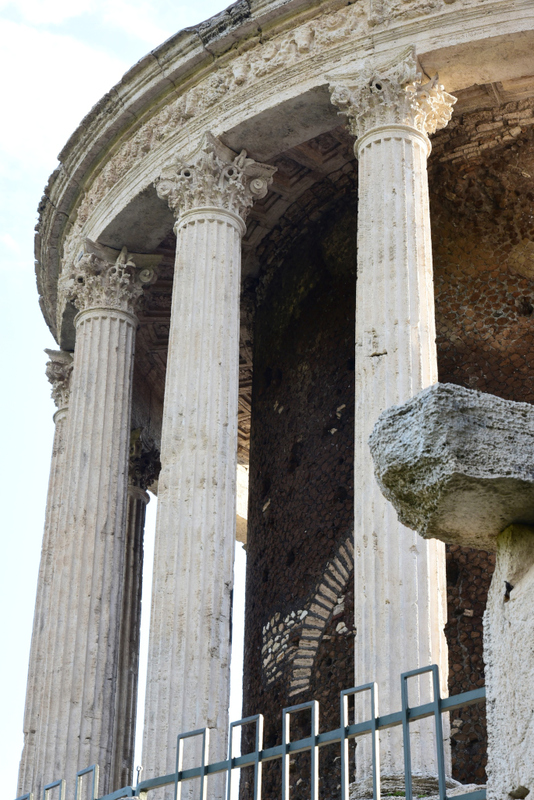 Due to his apparent dislike of his residence on the Palatine Hill in Rome, Hadrian apparently governed from his villa in Tivoli’s predecessor, the ruins of which are visible today. 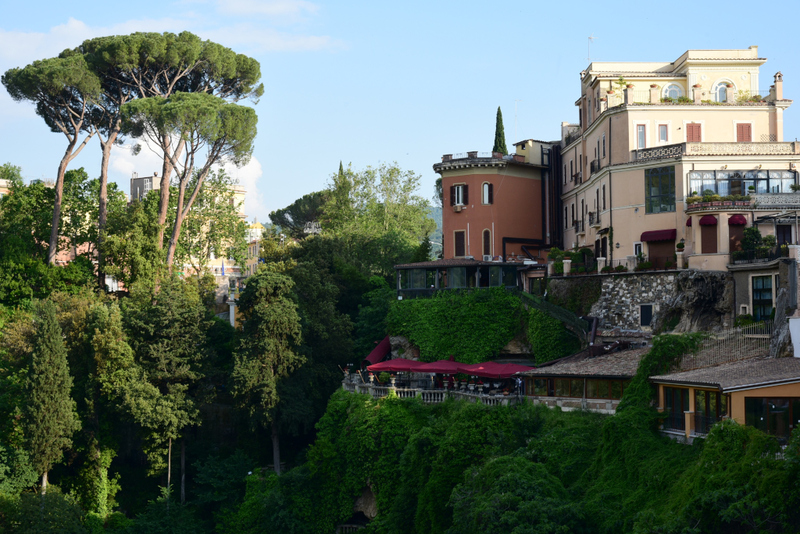 In the Middle Ages, Tivoli was tossed back and forth between the German emperors, the Vatican, and the Guelphs, a chaotic existence that mirrors much of the fate of the region at the time. 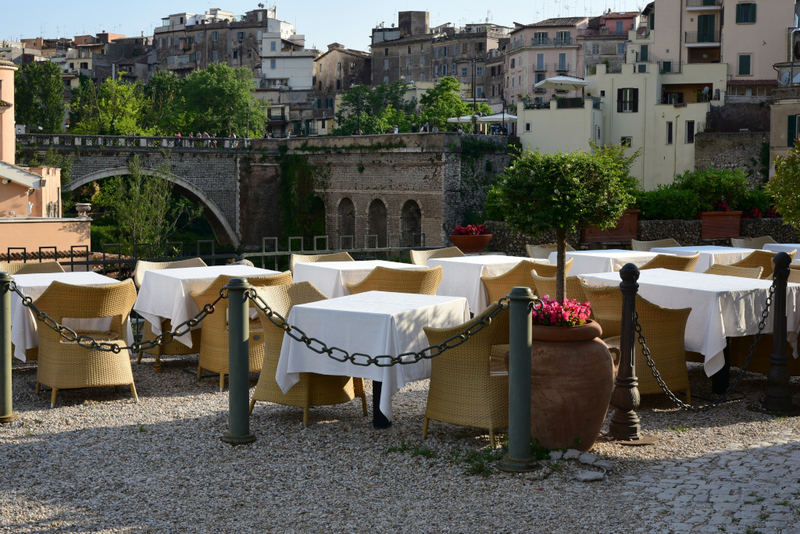 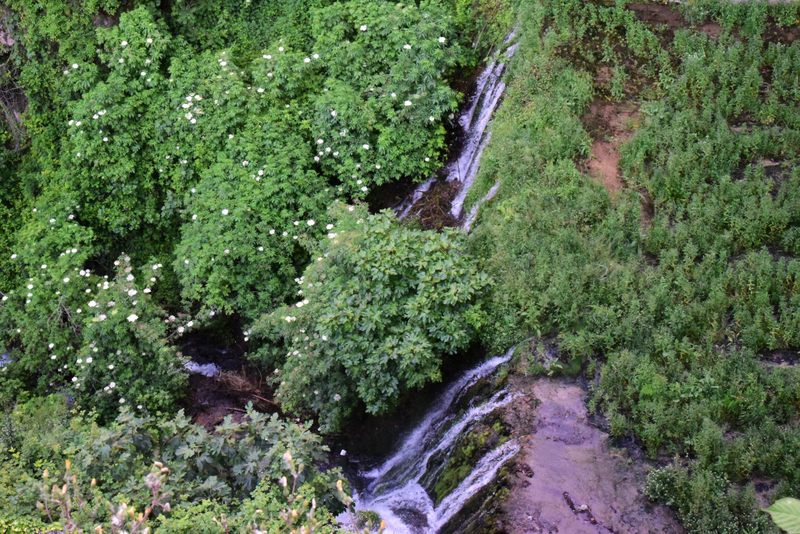 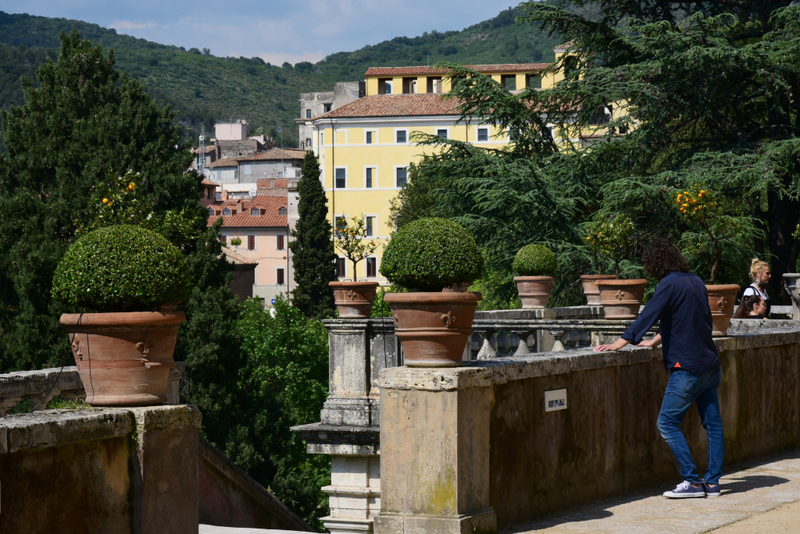 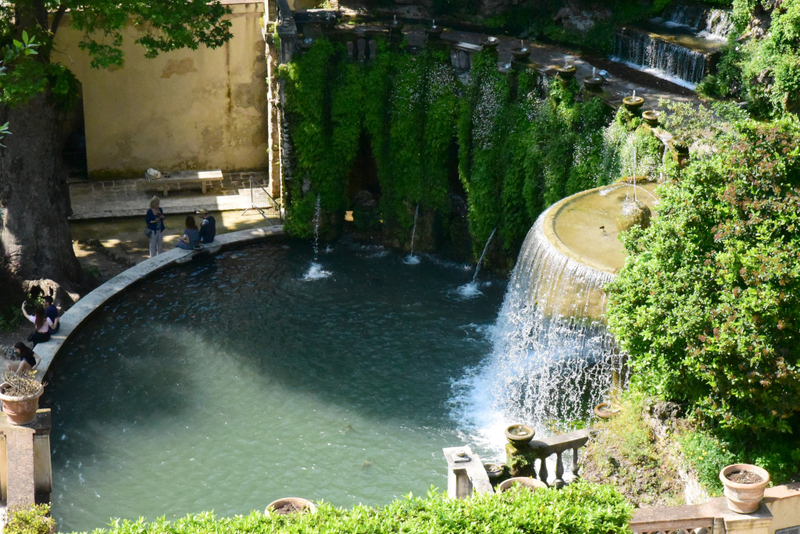 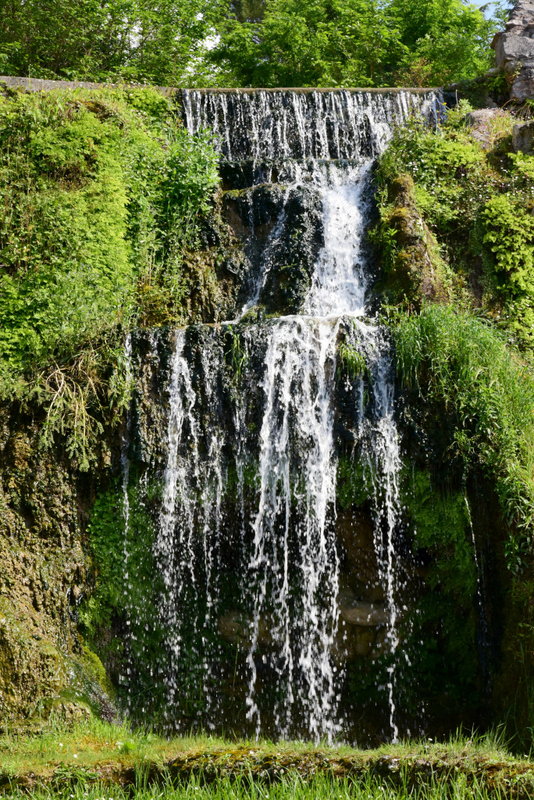 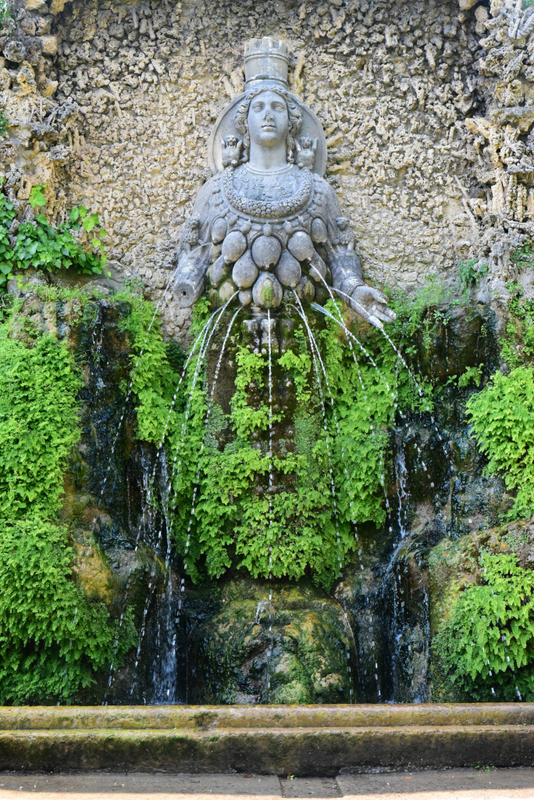 The primary reason to visit Tivoli is the Villa d’Este, a 16th-century villa famous for its terraced hillside Italian Renaissance garden and profusion of fountains. 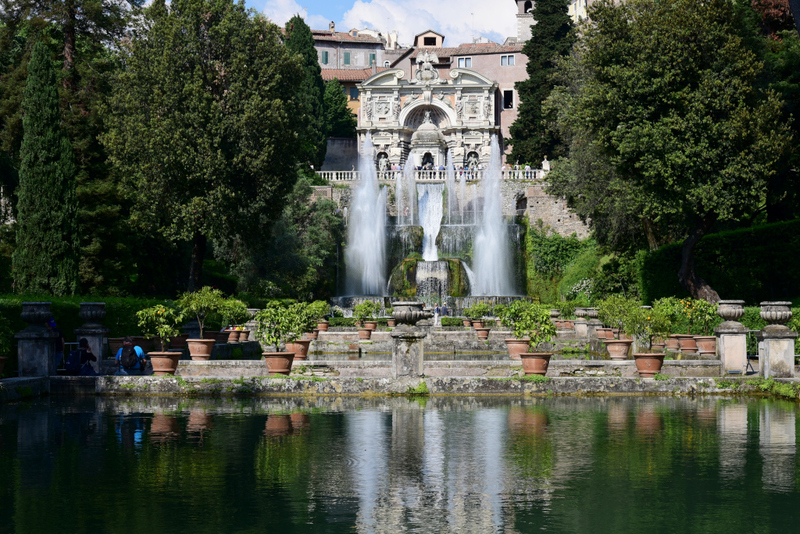 The Villa d’Este was commissioned by Cardinal Ippolito II d’Este (1509–1572), second son of Alfonso I d’Este, the Duke of Ferrara and grandson of Pope Alexander VI, along with Lucrezia Borgia. 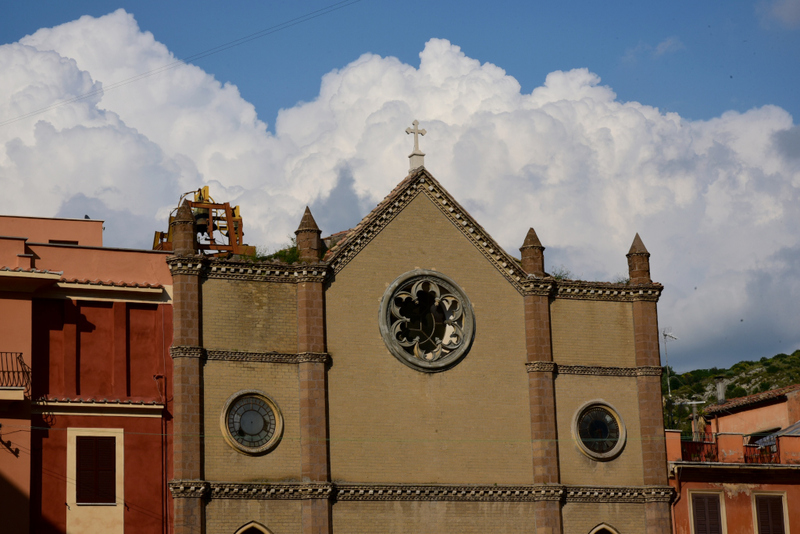 Ippolito was named archbishop of Milan when he was only ten years old. 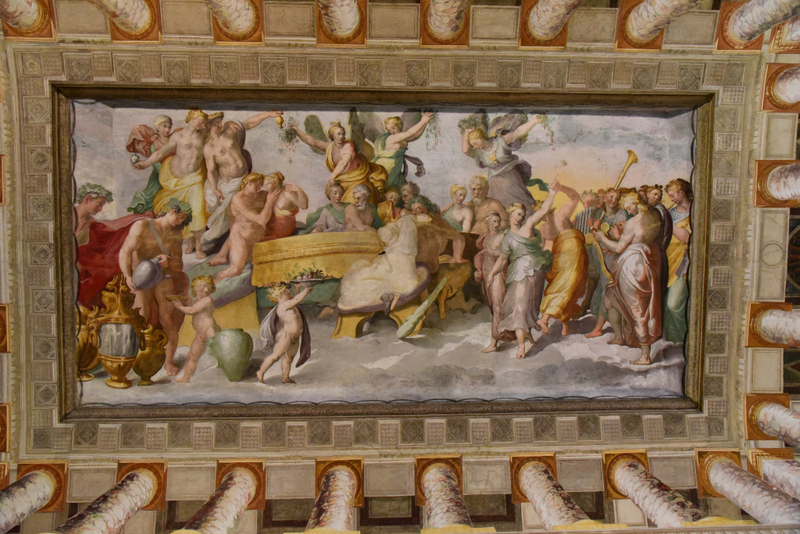 At the age of 27, he was sent to the French court to become an advisor to the King, Francis I. 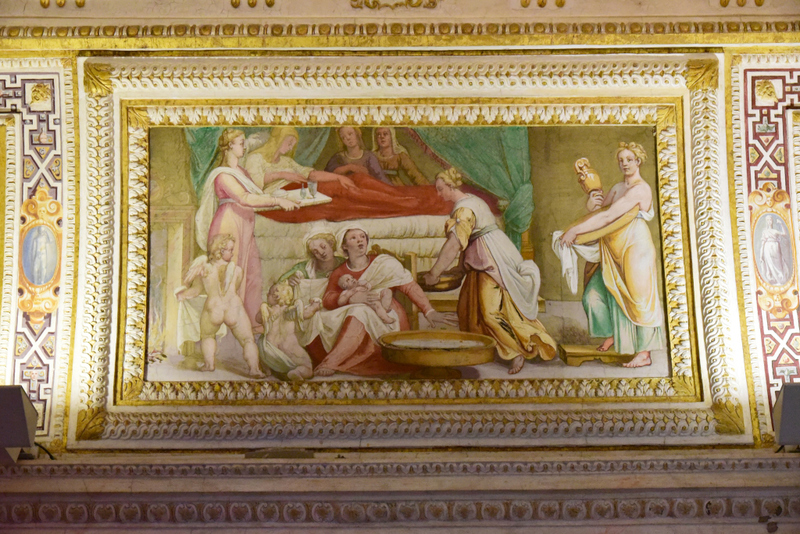 At the age of thirty, at the request of the King, Pope Paul III made d’Este a cardinal, and thanks to his connections, became one of the wealthiest cardinals of the time. 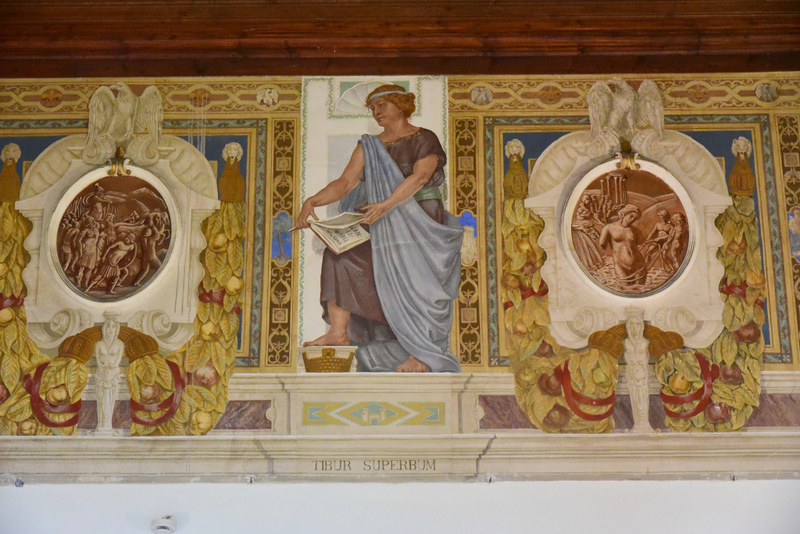 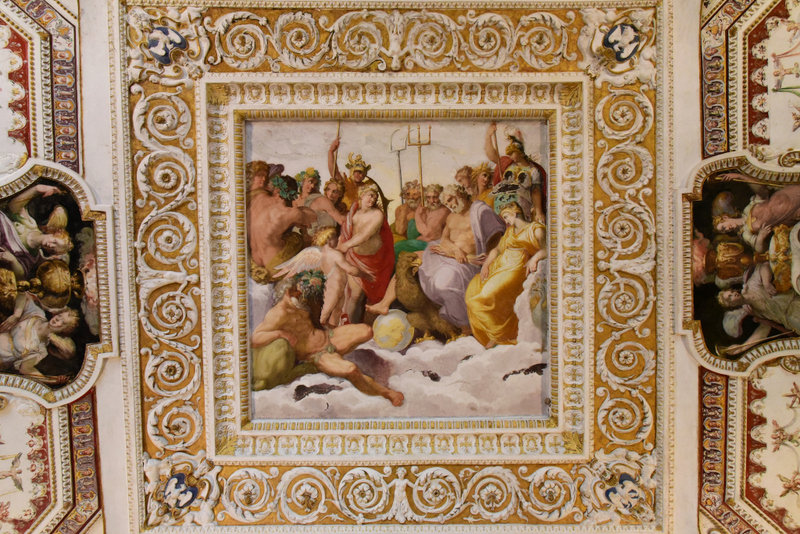 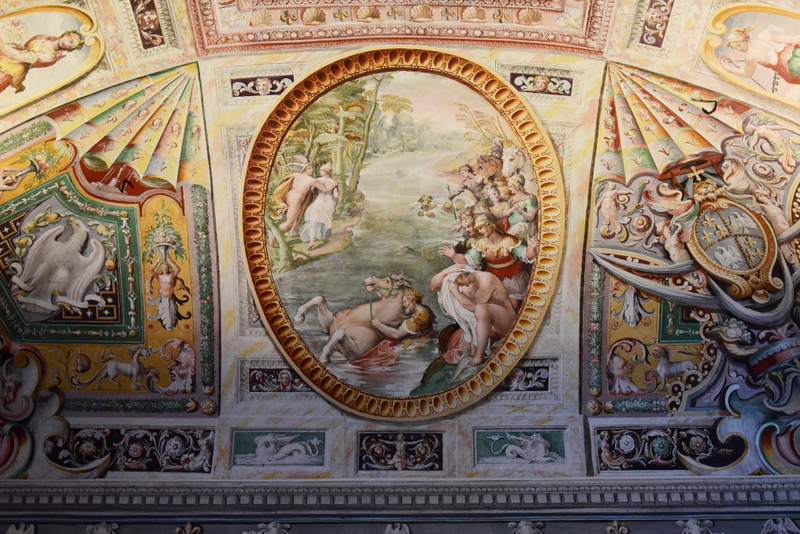 Ippolito was a generous patron of the arts, supporting among others the sculptor Benvenuto Cellini, the musician Pierluigi da Palestrina and the poet Torquato Tasso. 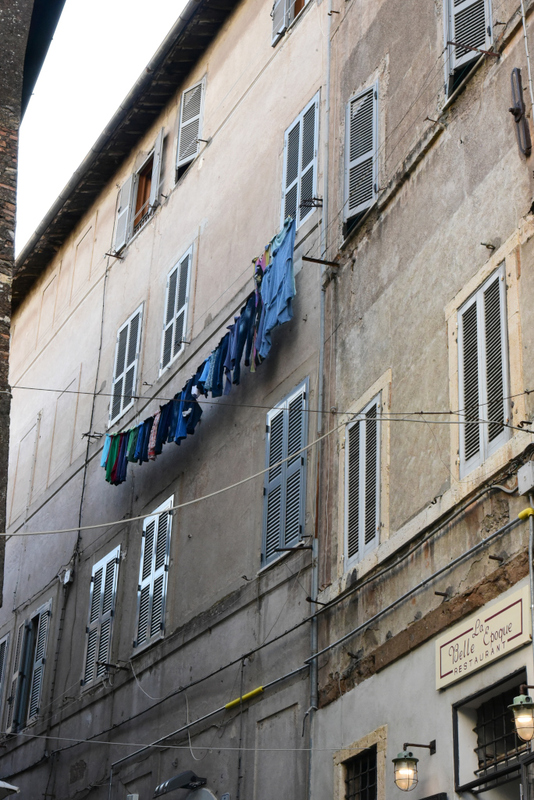 However, while his income was enormous, he was always in debt. 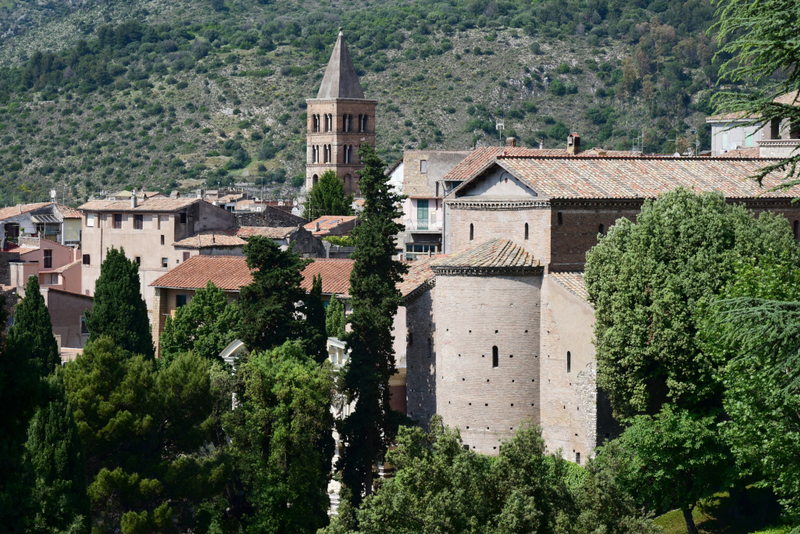 Having failed in his candidacy for pope, he was assigned the lifetime position of Governor of Tivoli. 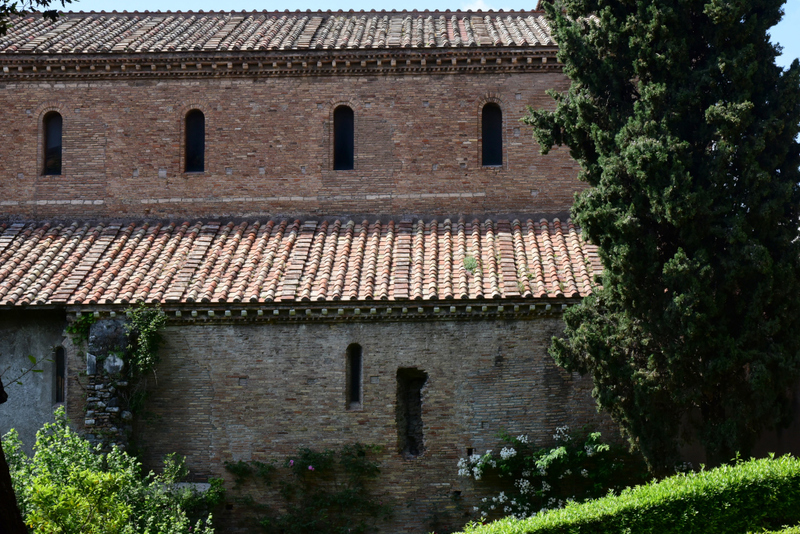 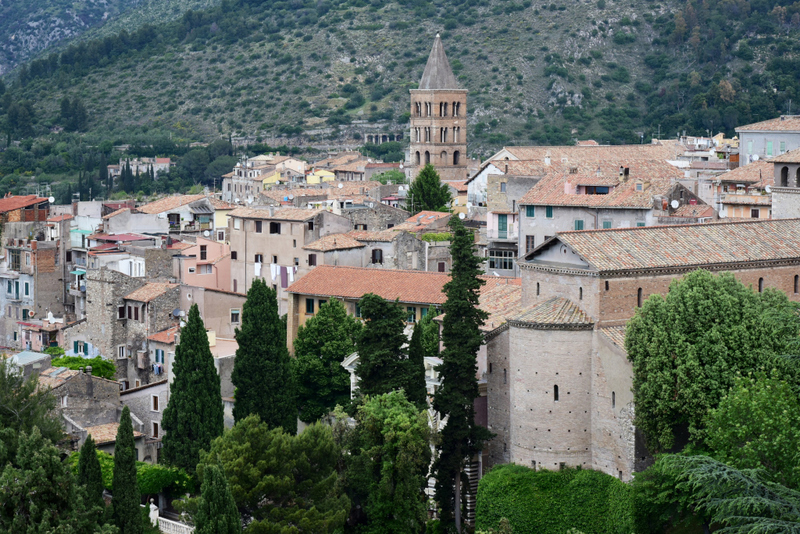 The position of Governor of Tivoli came with an official residence located in a former convent of the Benedictine order, which had been built in the 9th century on the site of an old Roman villa. 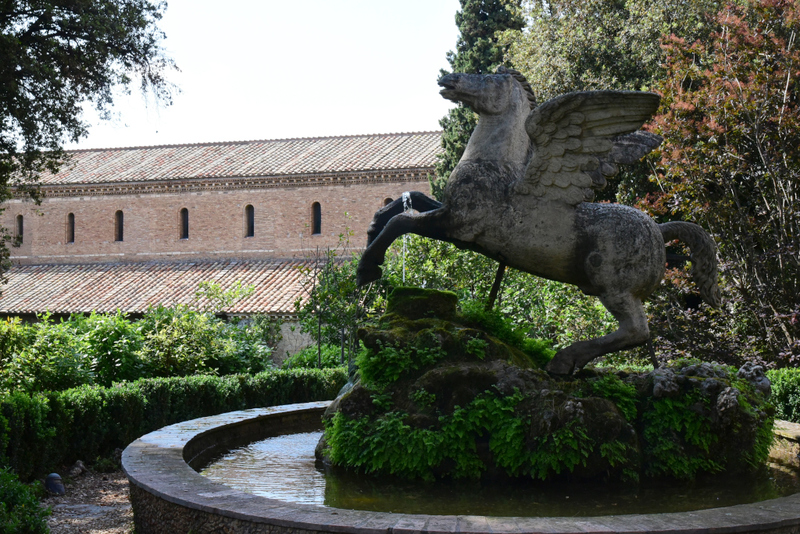 While the residence was not large enough for the enormous household of a Cardinal as prominent as d’Este, it did have a spectacular view of the countryside below, including Hadrian’s villa, and an abundant natural water supply for fountains and gardens. 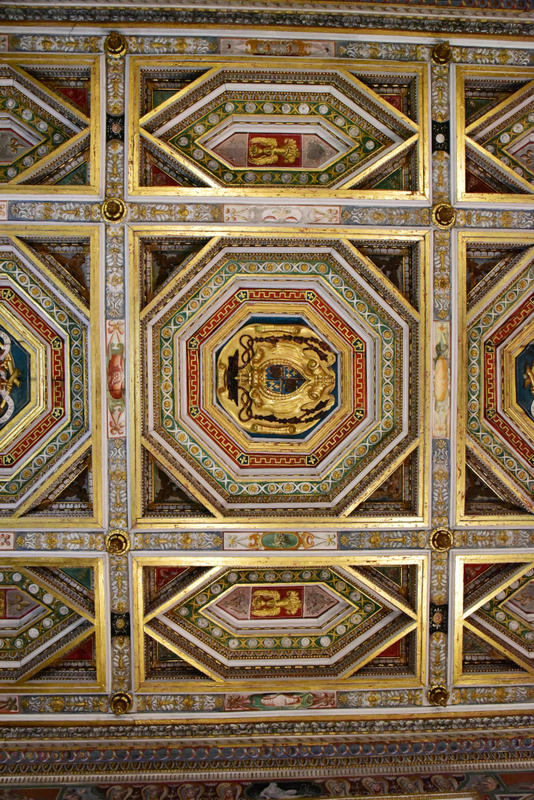 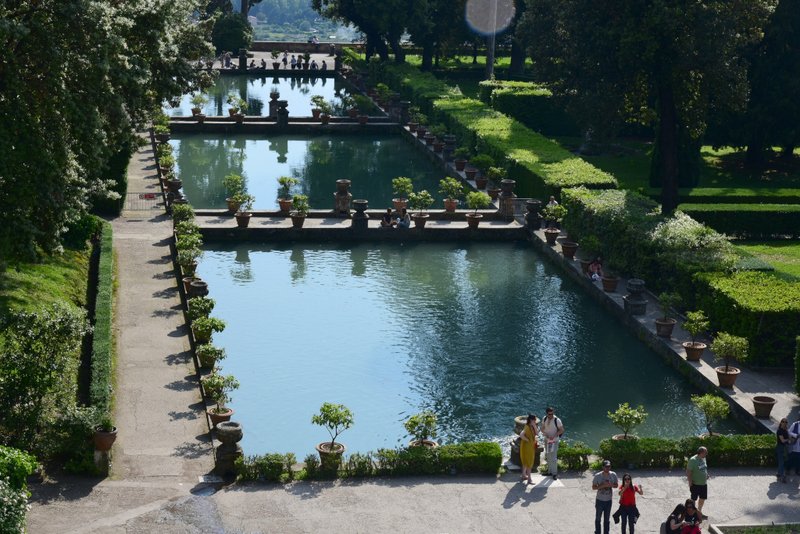 d’Este commissioned a a new villa and garden which was intended to exceed anything the Romans had built. 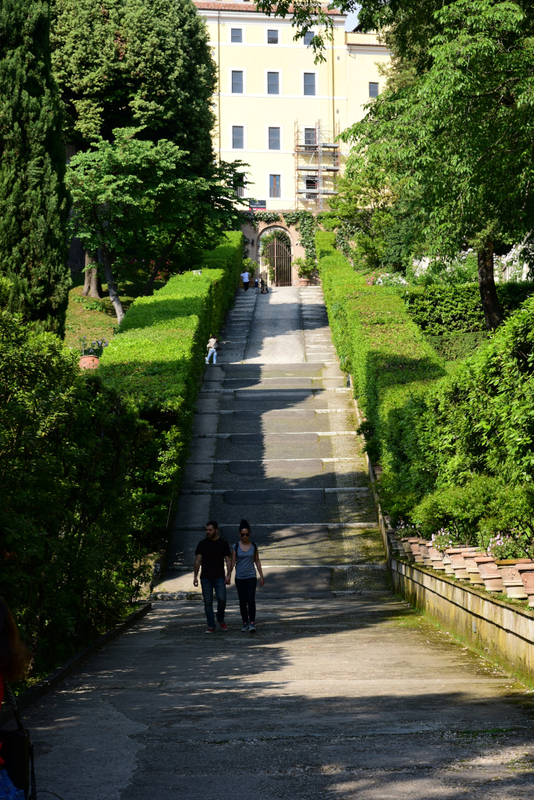 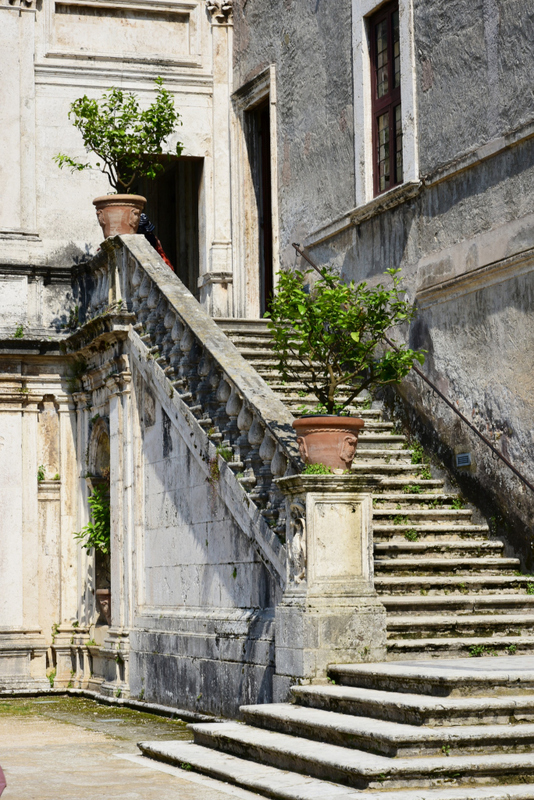 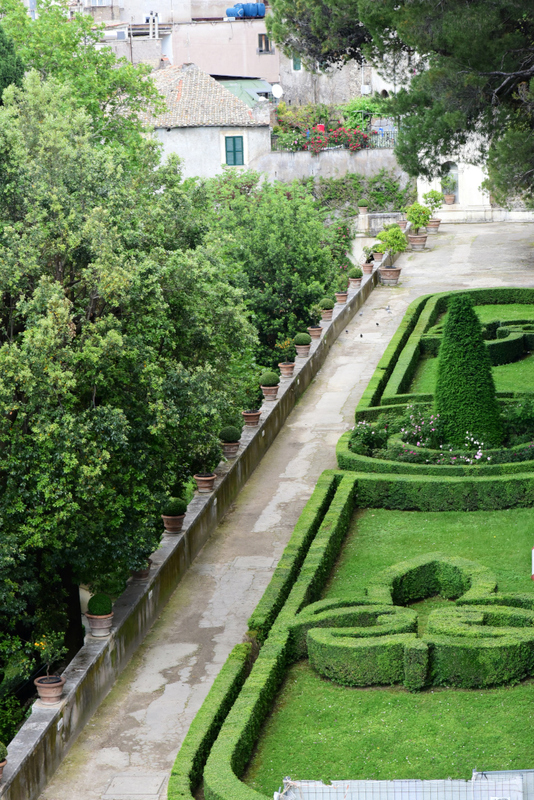 Due to a series of complications, construction on the new villa began in 1560. 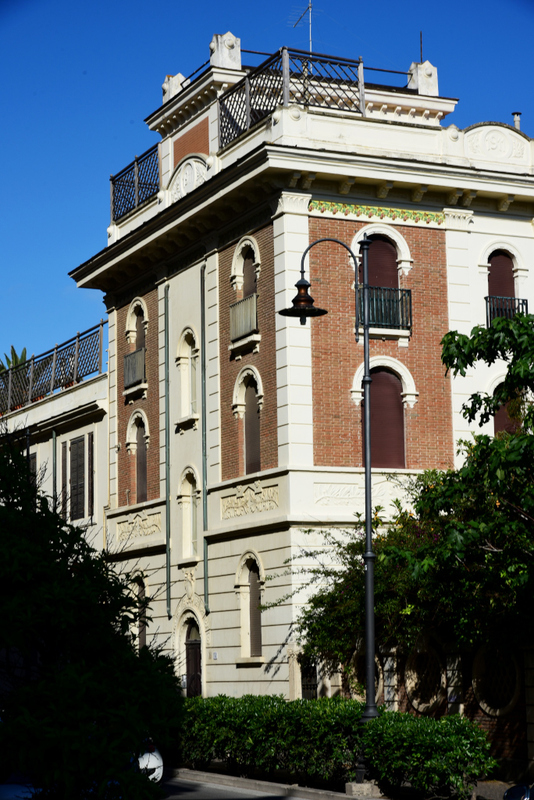 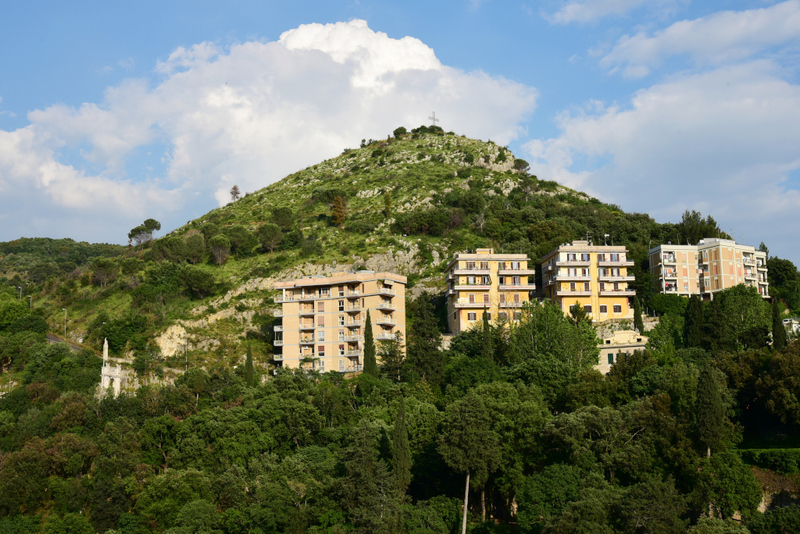 Numerous legal battles were fought with neighboring tenants, who sought to obstruct the continual aggrandizement of the villa property. 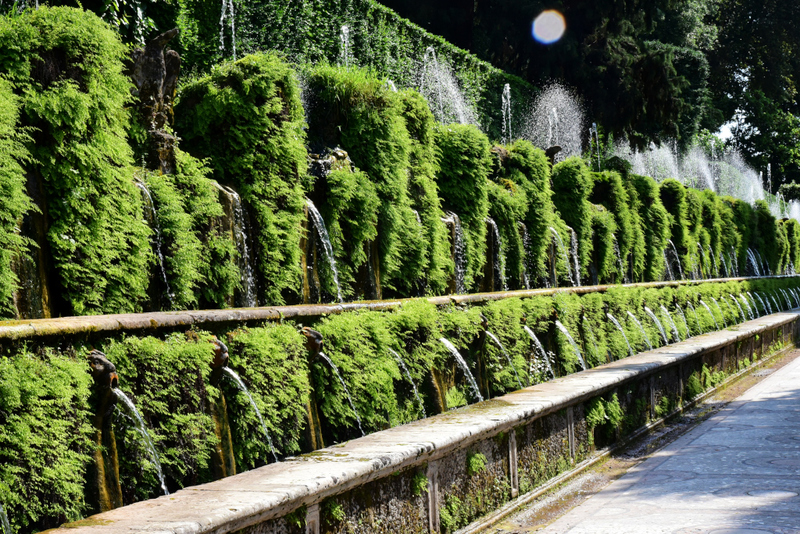 The lavish gardens included terraces, arcades, grottos, niches, and nymphaeums, while the nearby river Aniene was diverted to furnish water for the complex system of pools, water jets, channels, fountains, cascades and water games. 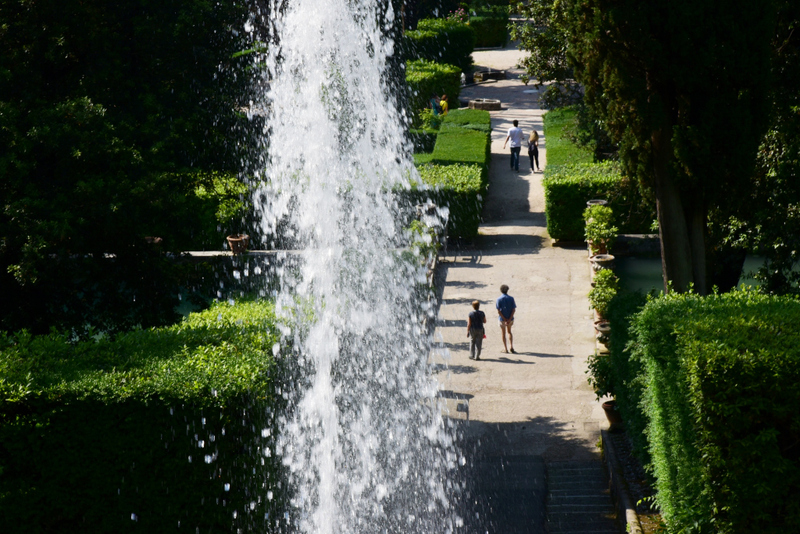 Canals were dug and two hundred meters of underground pipes were laid to carry the water from the artificial mountain under the oval fountain to the rest of the garden. 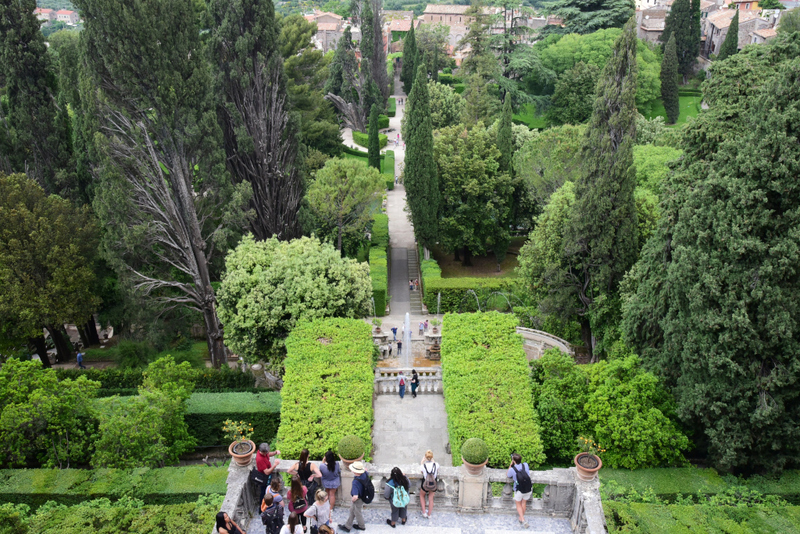 Following the aesthetic principles of the Renaissance, the garden was carefully divided into regular units, each thirty meters across, laid out along a longitudinal median axis, with five lateral axes. 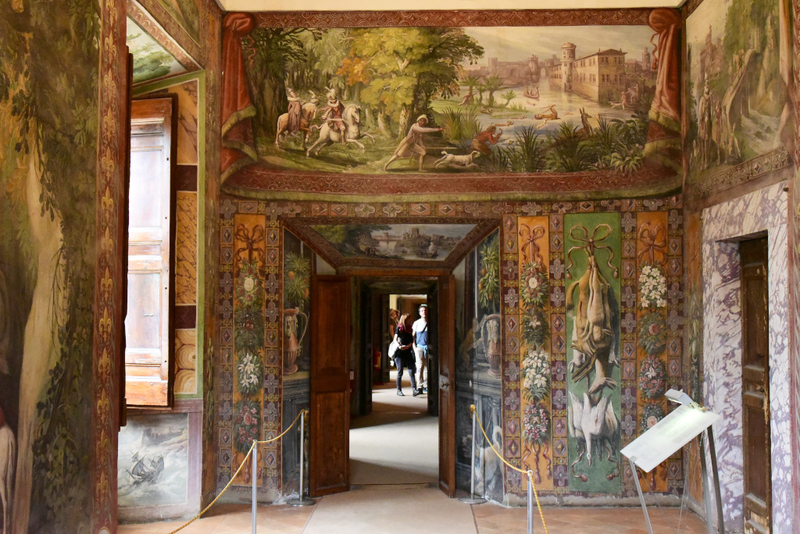 The work on the lavish Renaissance villa and gardens slowed down as available funds diminished, and stopped altogether with the death of Ippolito in 1572. 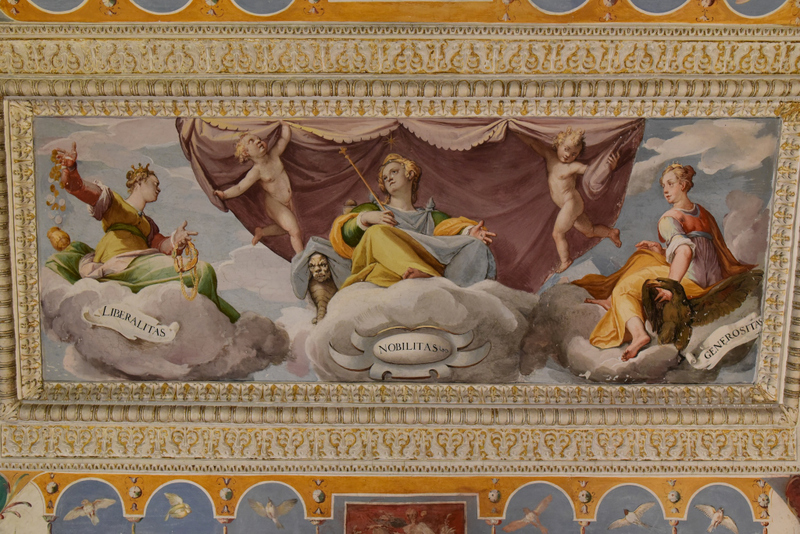 The villa passed to his nephew, Cardinal Luigi, after whose own death in 1586, was passed on to the Cardinal Deacons of the Sacred College. 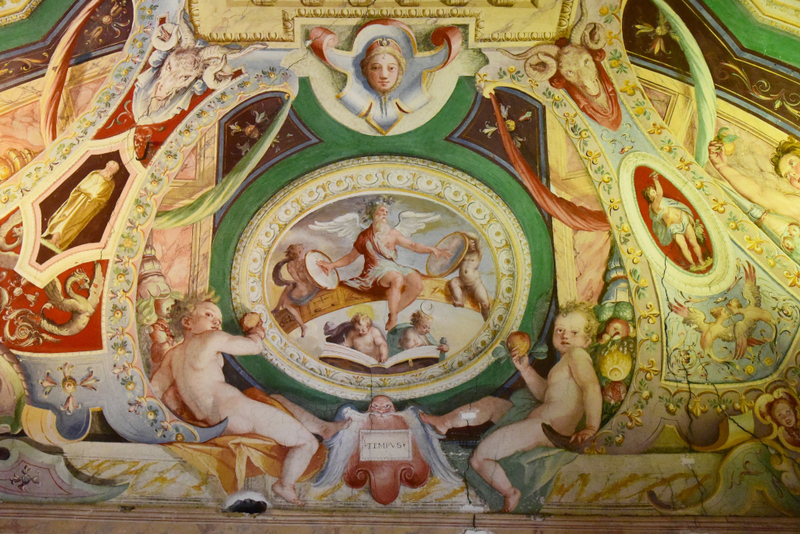 In 1599 it returned to the Este family with the naming of Cardinal Alessandro d’Este (1538–1624). 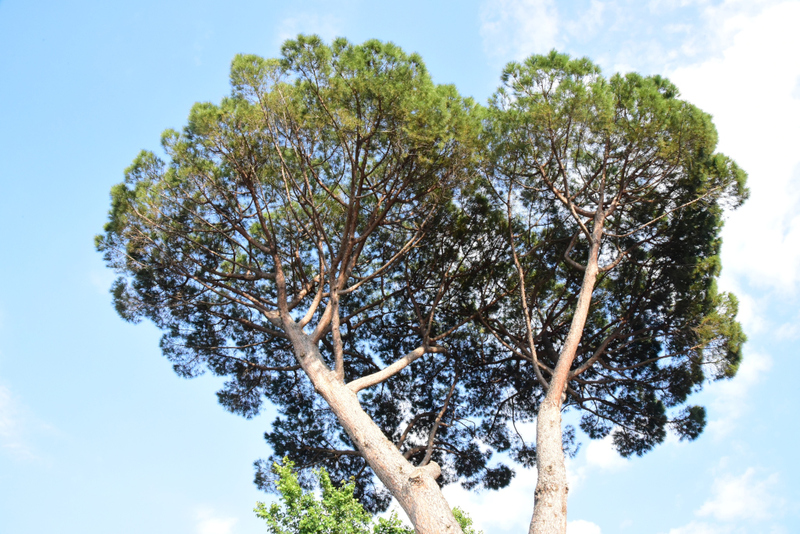 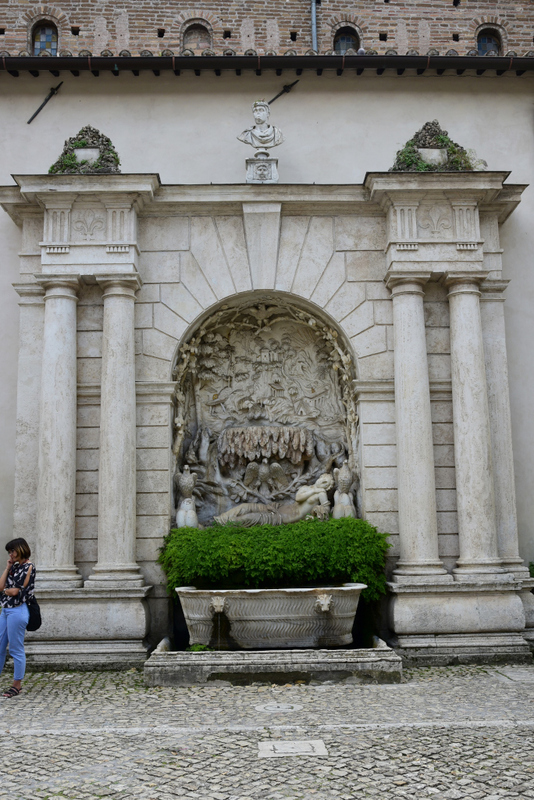 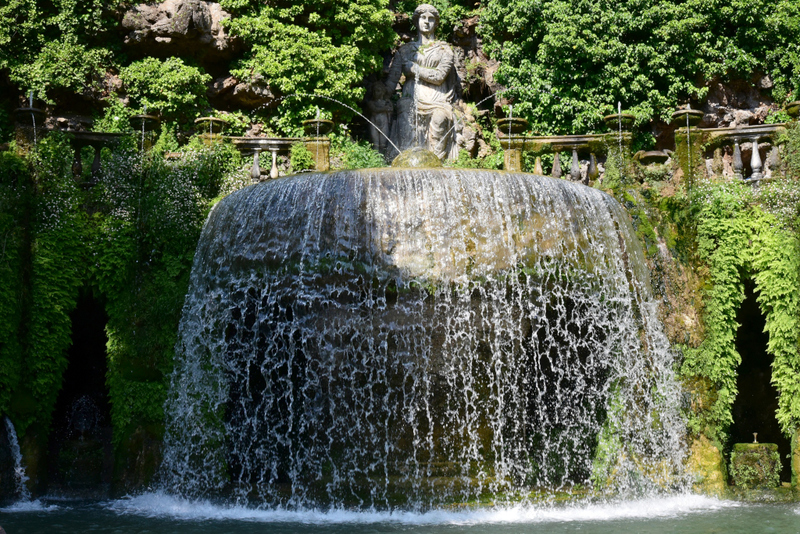 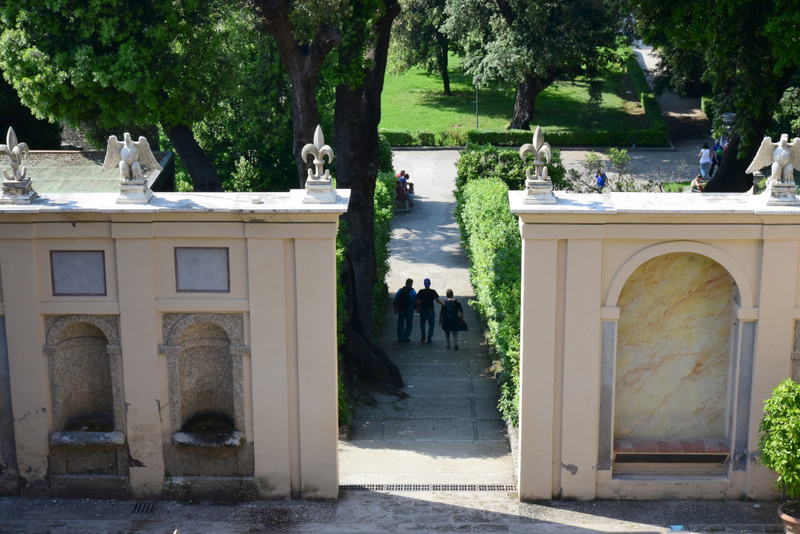 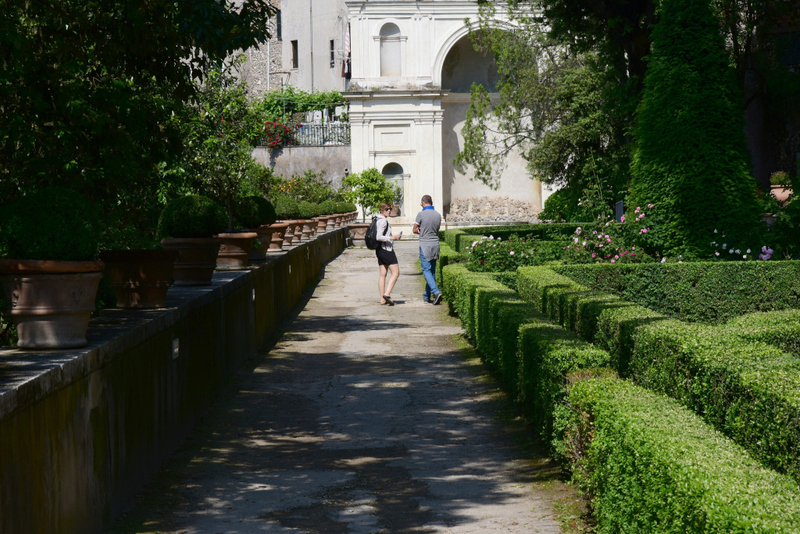 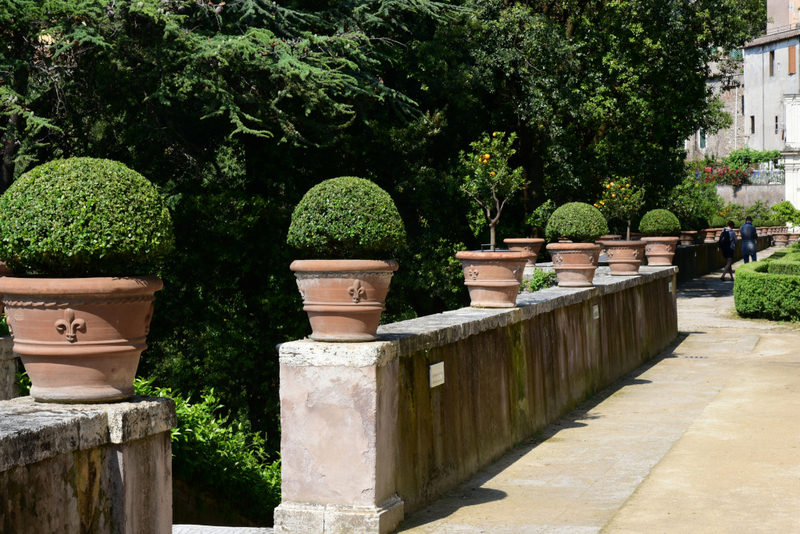 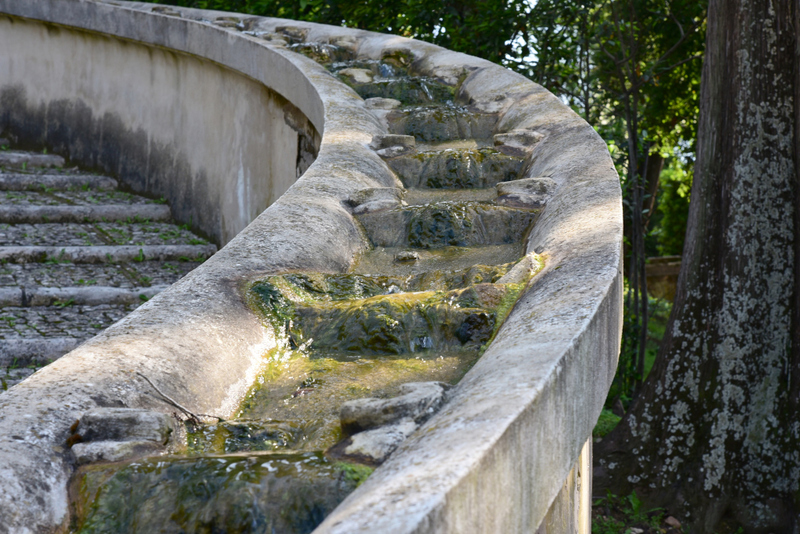 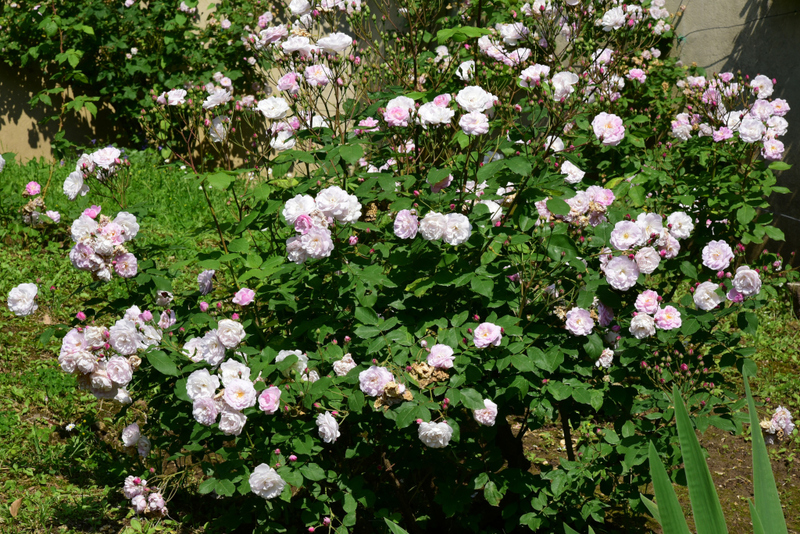 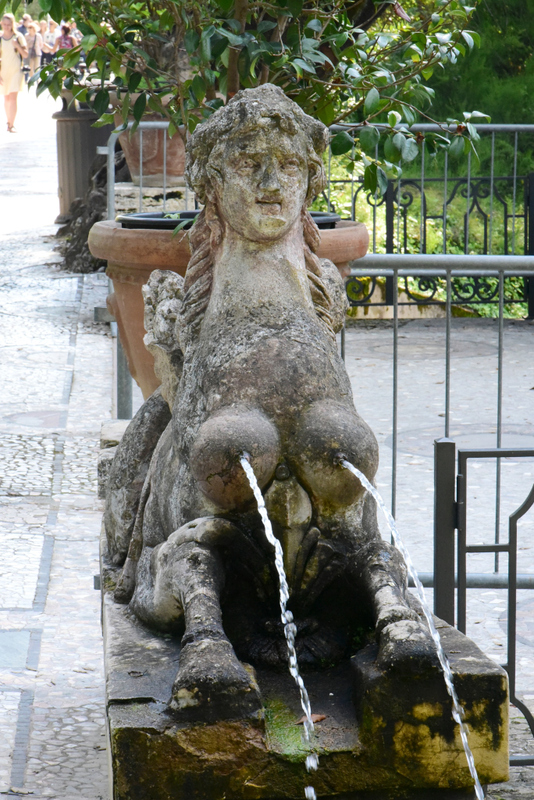 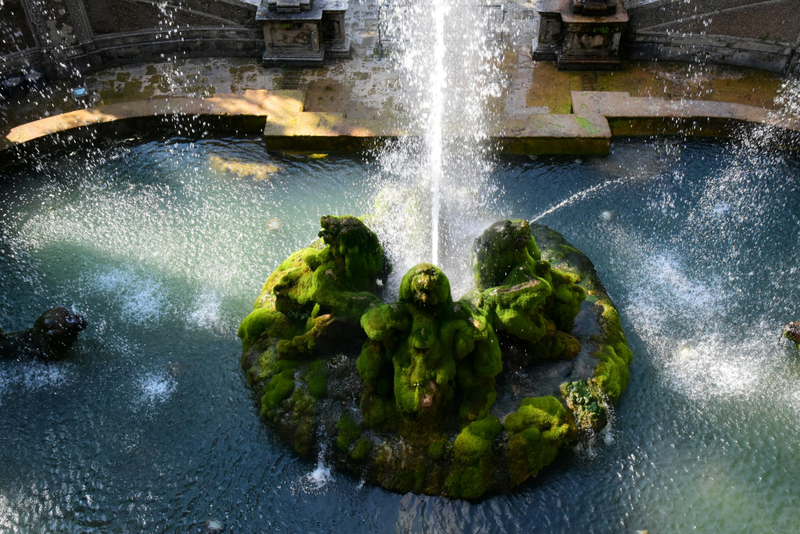 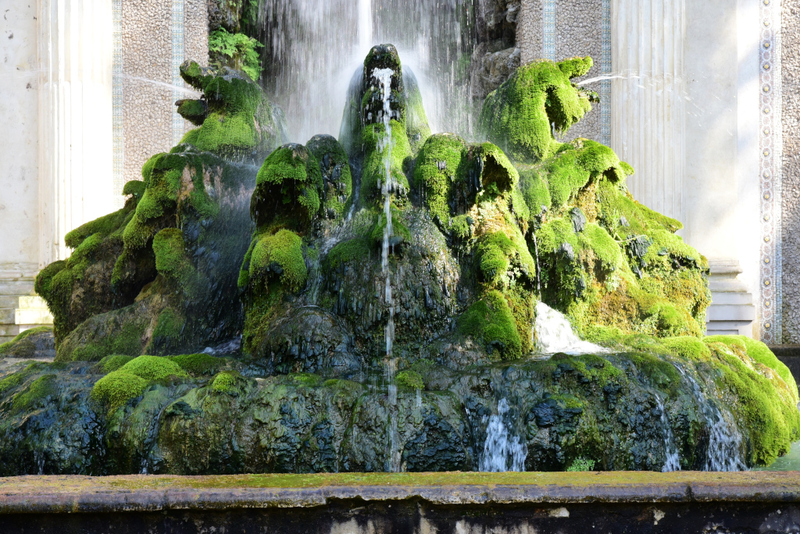 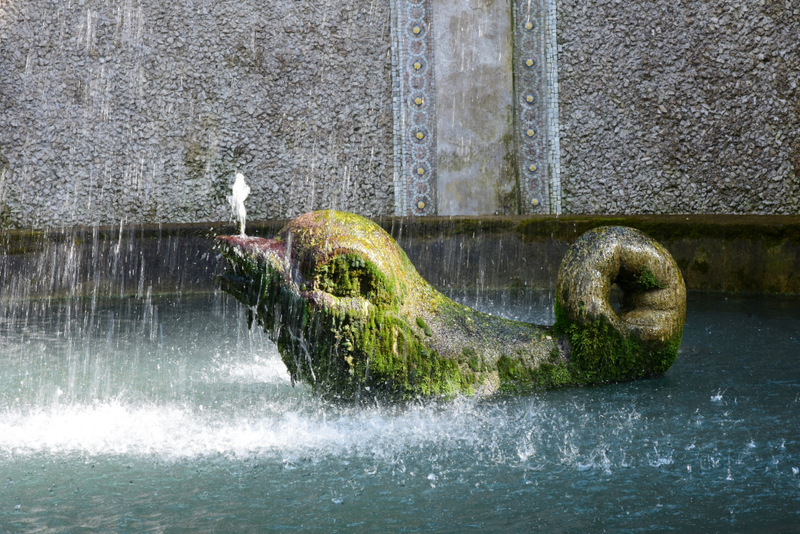 Alessandro had the energy and ambition of his ancestor, and carried out a major renovation of the gardens and water systems, as well as building a new system of fountains in the lower garden. 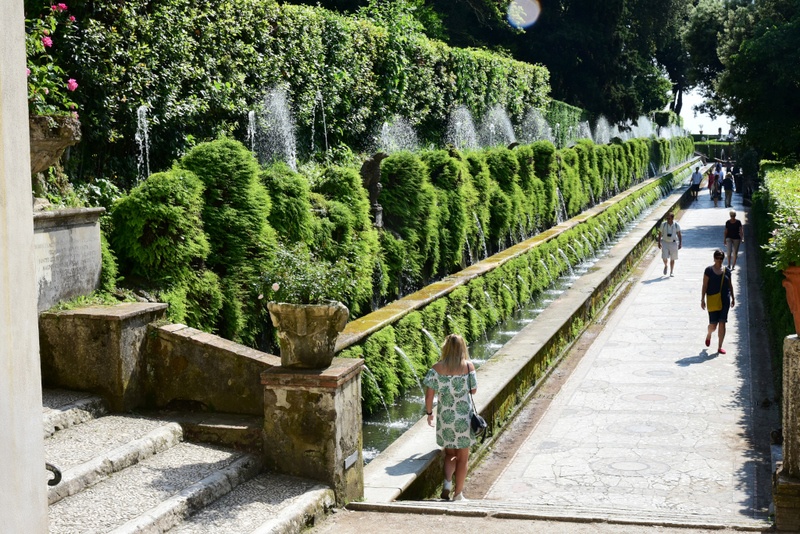 His successors, the Dukes of Modena, made further additions to the gardens, Francesco I restoring many of the crumbling structures, and planting trees in the previously unshaded gardens. 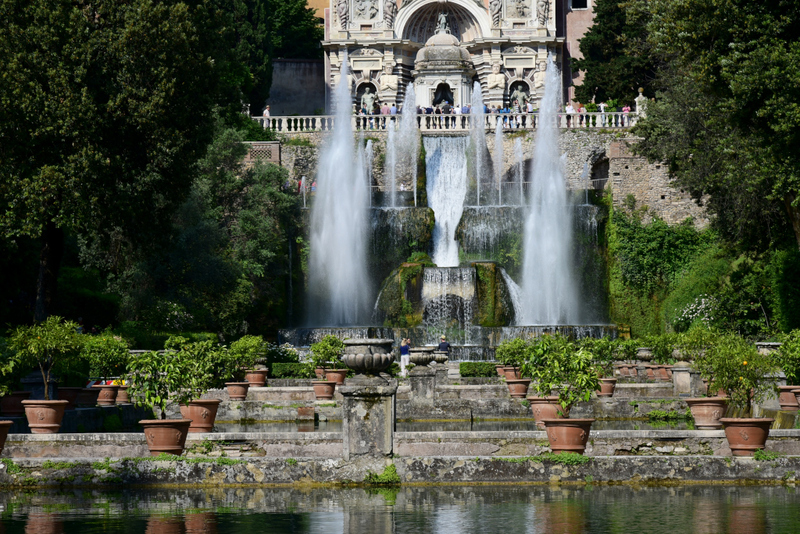 Cardinal Rinaldo I commissioned two new fountains by Gian Lorenzo Bernini in 1660–61. 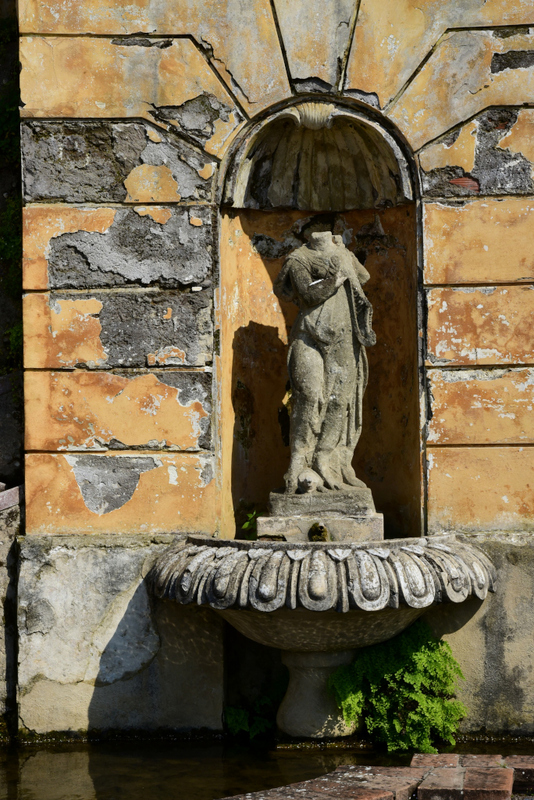 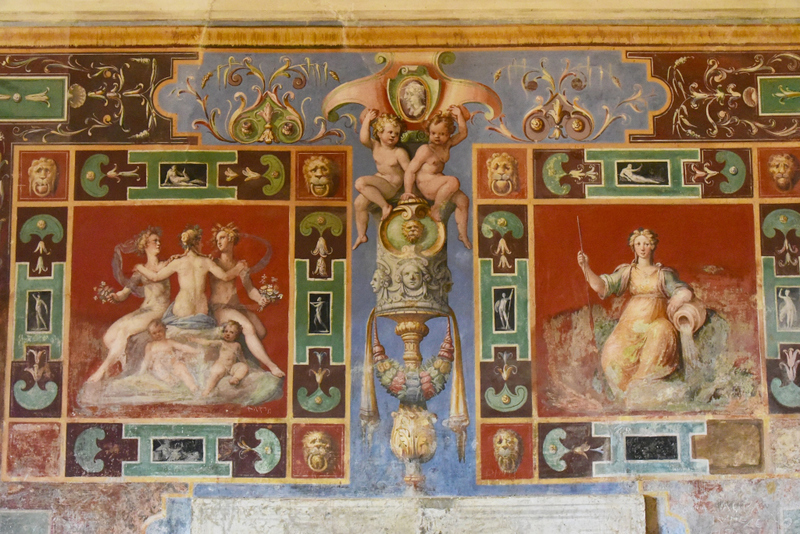 By the end of the 17th century, the Este family was unable to support the high cost of maintaining the villa, which they rarely used and which produced no income, resulting in a long period of decline for the property. 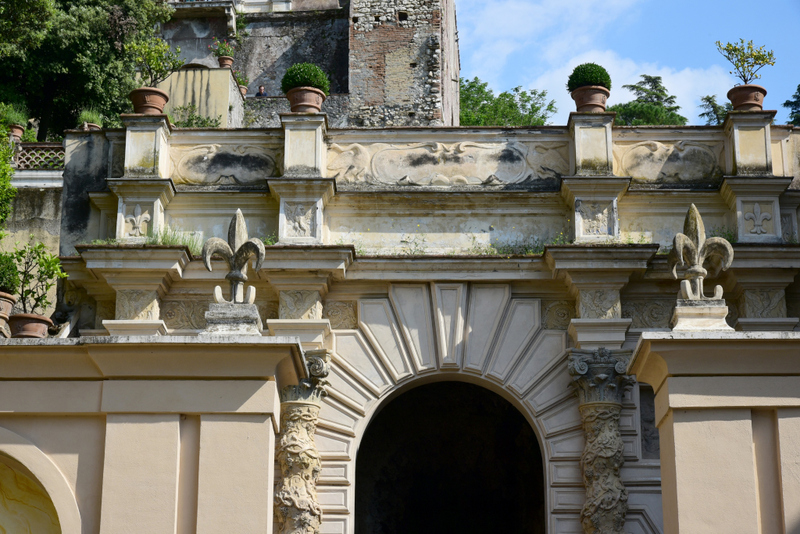 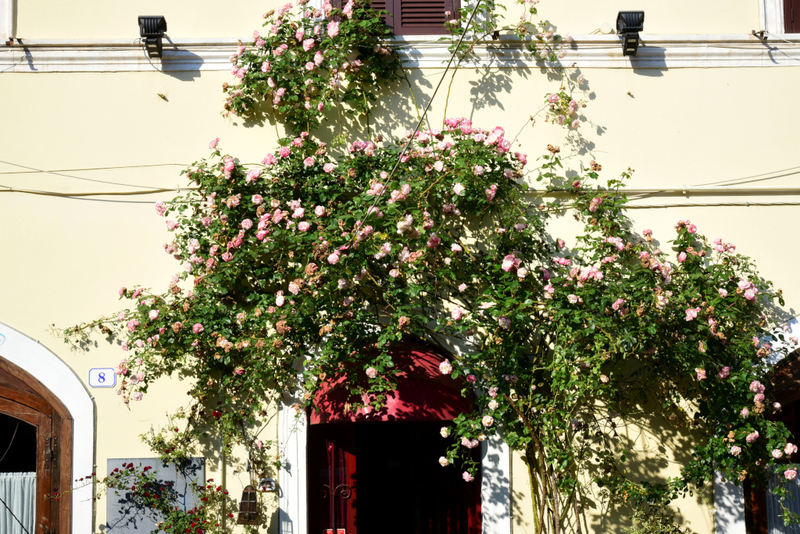 Between 1850 and 1896, the Villa was owned by Cardinal Gustav von Hohenlohe, who restored the dilapidated villa and the ruined and overgrown gardens, which now appealed to the romantic sentiments of the period. 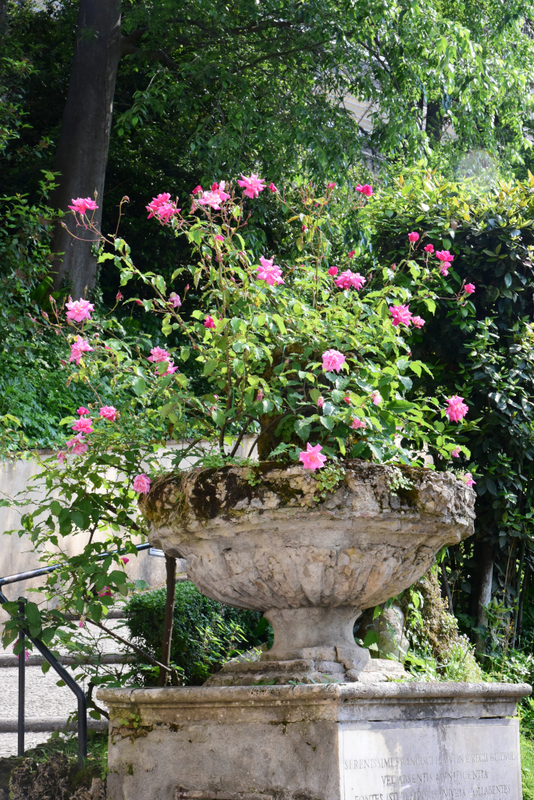 The villa once again attracted artists, musicians and writers. 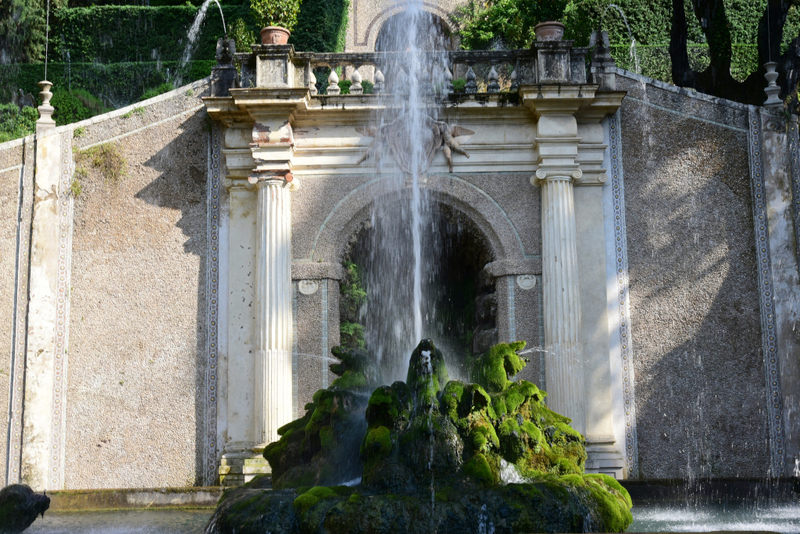 The composer Franz Liszt made several visits between 1865 and 1885, and wrote two pieces of music, Les Jeux d’Eau a la Villa d’Este and I Cipressi.